The Regional Driving Assessment Service (RDAC) has an exciting opportunity for an Administrator to work at our Assessment Centre located at the AJ Bell Stadium in Barton, Salford. As an accredited member of Driving Mobility, RDAC is a successful, forward thinking and established organisation with a number of locations throughout the UK. RDAC provides a range of services for people with disabilities to enable them to remain independent either as drivers, passengers or wheelchair users and also provides an information and advice service on community mobility. Due to service expansion, we have a vacancy for an Administrator to join our team to provide full administrative support to our locations in the North of England. The successful candidate must be able to work on their own initiative in a busy office environment. The ability to multi-task and demonstrate exceptional organisational skills are essential. You will work closely with colleagues in Manchester as well as with the RDAC administration team at the Birmingham head office to ensure referrals are processed accurately and appointments scheduled. The successful candidate will have good educational standards with a minimum of GCSE or equivalent A-C in Maths and English and must be able to use Microsoft software packages. You will need to have a good telephone manner and customer relationship skills as dealing with clients both face-to-face and over the telephone is an essential part of this role. Previous experience of working with people with disabilities would be an advantage. For more information about this role please contact Sean Barratt by telephone (0300 300 2240) or email (sbarratt@rdac.co.uk). We know the job title is a bit long but let’s look beyond that! Are you an Occupational Therapy Assistant (or similar) looking for a new employment challenge? Do you want to make a positive difference to people with mobility / independent living challenges? 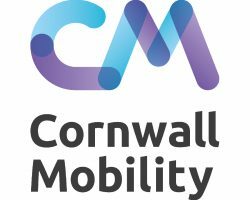 Cornwall Mobility has an exciting job opportunity to support two areas of our organisation. We have secured funding for two years to deliver an Integrated Transport and Mobility Hub to act as a one-stop, information and advice centre for all aspects of public and community transport services. Combined with this role is the responsibility to support our Independent Living Team and service offer within the Centre providing advice and guidance to clients. Our view is that this opportunity would be suitable for individuals who have previous experience as an Occupational Therapy Assistant or similar. Based in Truro, the post is available immediately. Starting salary £16,358 (30hrs per week) for a suitably qualified and experienced individual. An exciting and exceptional opportunity has arisen for an Occupational Therapist at Wessex DriveAbility. We are a small but supportive team and an accredited member of Driving Mobility. Working alongside driving professionals to follow an assessment structure in order to form a recommendation to inform the client, DVLA and Health Professionals. Using clinical reasoning and evaluating skills to assimilate findings, make recommendations and produce written reports. The successful candidate must be a qualified Occupational Therapist and hold a full driving licence, however no previous experience of driving assessments is necessary as a full induction package and training will be offered. Work will predominantly be in our Southampton Centre, however travel to outreach locations in Ferndown, Basingstoke, Newbury, Salisbury and the Isle of Wight will sometimes be necessary. Travel to outreaches is undertaken in work time and full expenses will be paid. Hours of work are 22.5 or 30 per week, and a flexi time system is in place. A generous annual leave allowance will be provided along with a pension scheme.